Articles - Publications - Freedom of Information Center of Armenia. 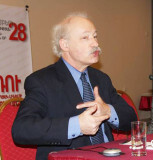 In Armenia, the 2003 Law on Freedom of Information allows information applicants to appeal cases where their requests have been refused to the Human Rights Defender. This, then, represents a case of an appeal to a non-specialized body as opposed to a dedicated RTI body. There are a number of ways in which this body is not specifically tailored to the RTI context. Toby Mendel, Executive Director, Centre for Law and Democracy, presents the Analysis of the Legal Framework for the Right to Information. During 2011 and 2012, employees of the RA Public Services Regulatory Commission, RA Government-Affiliated State Revenue Committee, RA Control Chamber, and the RA National Security Council have received 6.643.111.620 AMD-worth bonuses and total of 14.513.200 AMD-worth gifts. Development and Integration NGO was financed 6 times during 2011-2012, with total of AMD 74 million and 978 thousand. Comparison of the answers received indicates that in 2012 the highest number of electronic requests and applications were received by the RA Ministry of Diaspora: 12,765 requests and applications. The next is the Ministry of Finance which received 8,601 electronic requests and applications during 2012. The 3rd agency having received the third largest number of requests and applications in electronic version is the RA Ministry of Education and Science, with 5,027 electronic requests and applications.